We interrupt our regularly scheduled programming to bring the listeners something new and different. Something you have not heard on the shows yet. Steve Arnold of TV;s "The Meteorite Men" will be dropping in to share some late breaking events with us all! 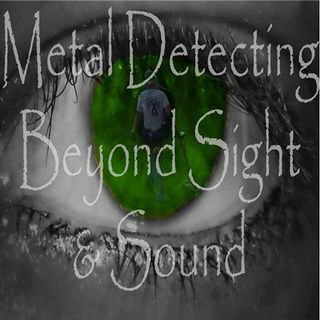 Steve has appeared here on BEYOND SIGHT AND SOUND in the past and recently you may even recall our Öut of the vault"episode with Steve discussing Meteorite hunting with us all. Steve did a great show with us the last time ... Más informaciones he dropped by and that show still holds as a popular episode and great reference point when it comes to Meteorite hunting. Combine that with him being a great all around guy to speak with who has a great sense of humor as well and you get a out of this world conversation. Steve has some news about a new upcoming project he would like to share with us that also involves an American Hero from the Apollo 15 mission. Tune in for what I'm sure will be a great time and be ready for another surprise as well. Let your friends who may use an XP Deus know they may want to tune in as well and if you're a Deus user you may want to listen closely as I will make a special announcement at some point during the show. Don't miss this one folks! While you're waiting for the show you may want to check out these links as well. Just copy and paste into your address bar. See you all soon!